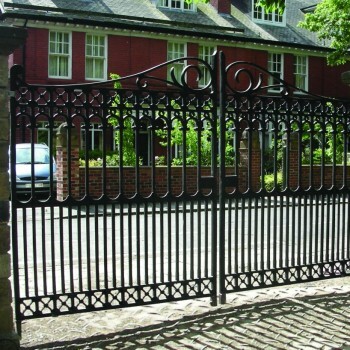 The Richmond Gate is the latest addition to the family of Heritage Cast Iron Collections. 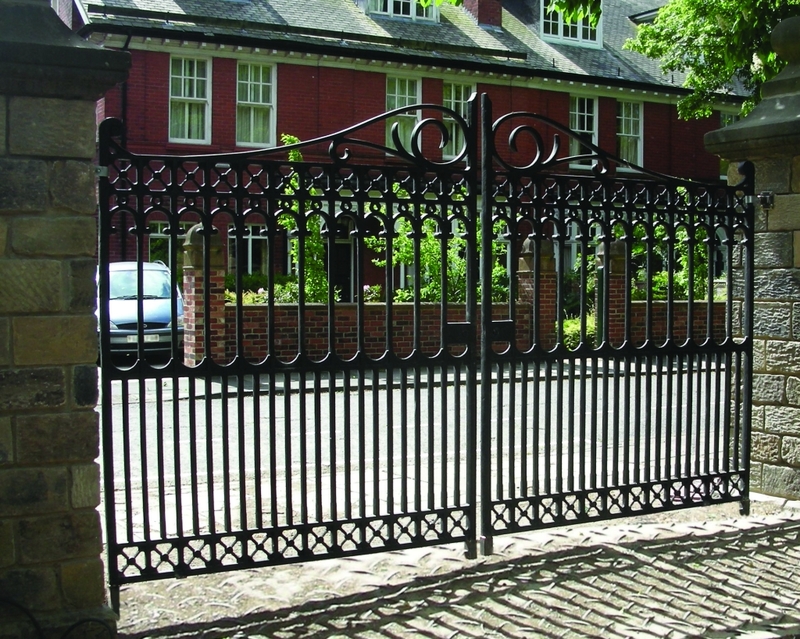 The Richmond Gate incorporates a decorative scroll to the top rail, which is a feature that is unique to this product. 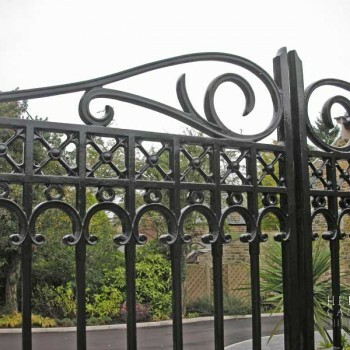 We have also incorporated the intricate “cross” detail in the Richmond Cast Iron design so that it can be effectively combined with cast iron fencing from the Stirling Collection. 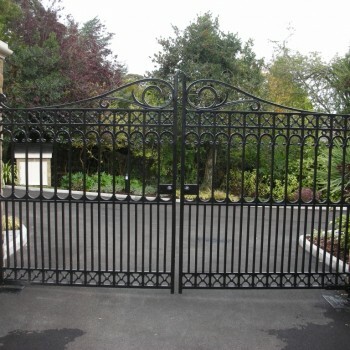 The Richmond Gate was originally designed for a private estate adjacent to Richmond Park, near London, England. 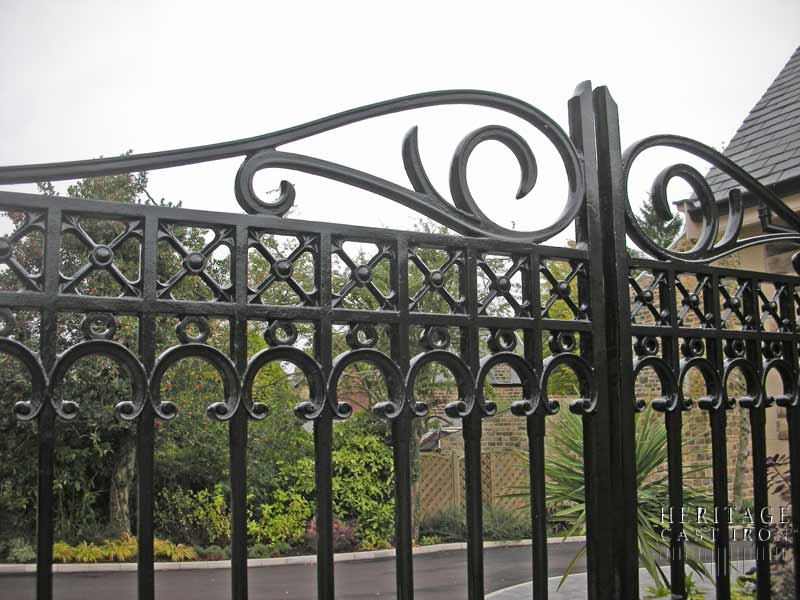 We have incorporated our signature ‘X’ design into the gate so that it can be easily combined with cast iron fencing and fences from the Stirling and Stewart Collections. 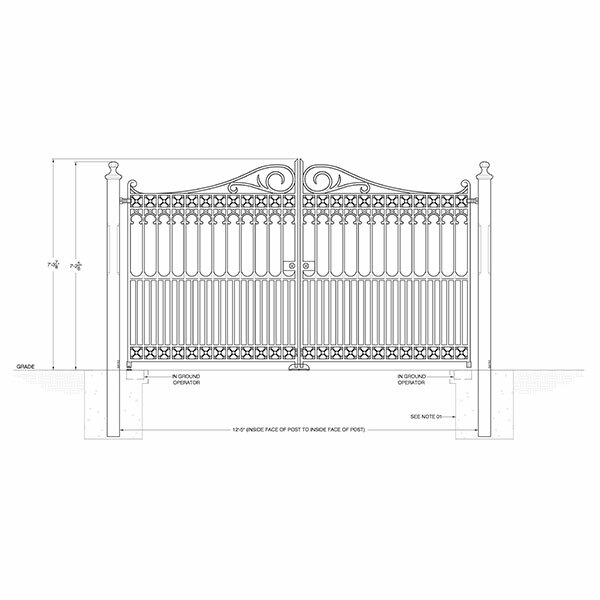 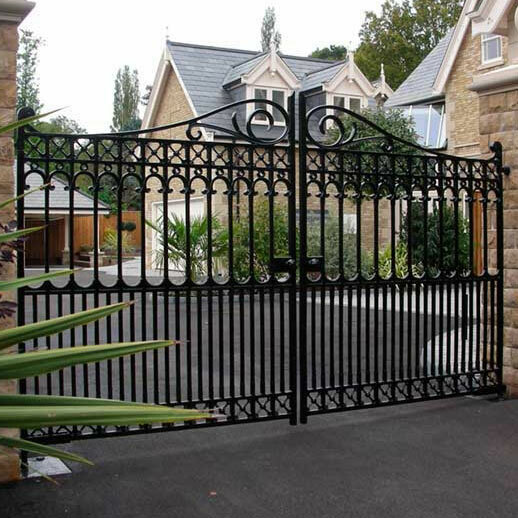 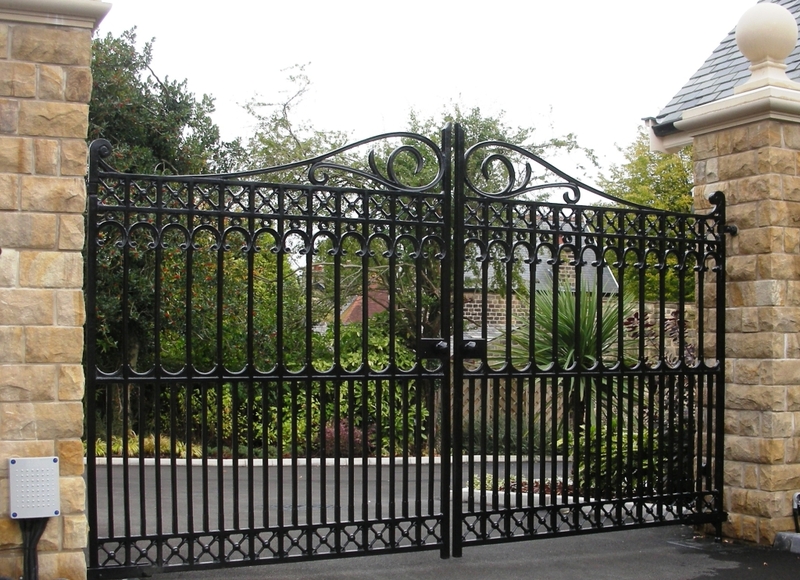 These elegant estate gates are perfect for a country manor house and may be installed into a properly prepared masonry opening or using heavy steel posts of your own. 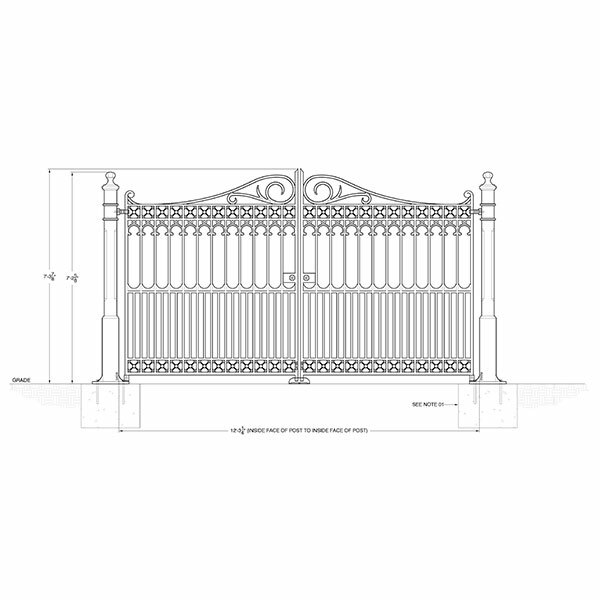 Please call on our sales specialists to help you design and price your ornamental iron project. 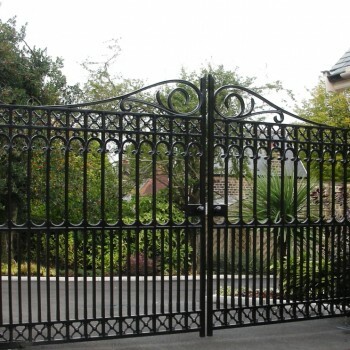 Free advice on fitting and price combinations. 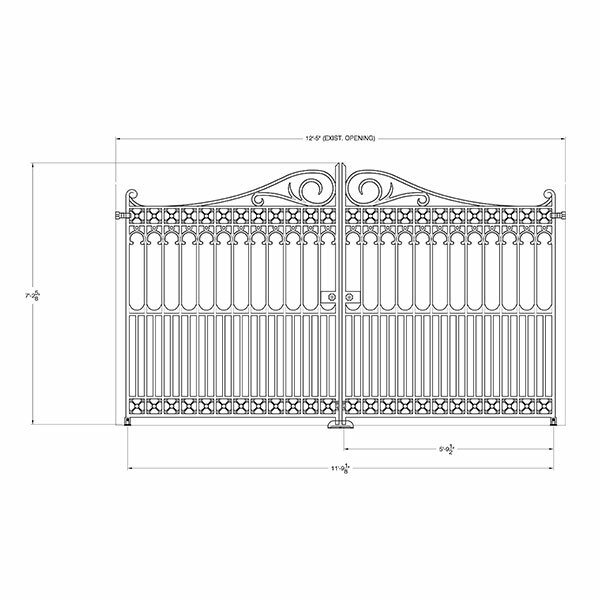 Richmond 12′ Drive Gate (one pair) from $5282.54. 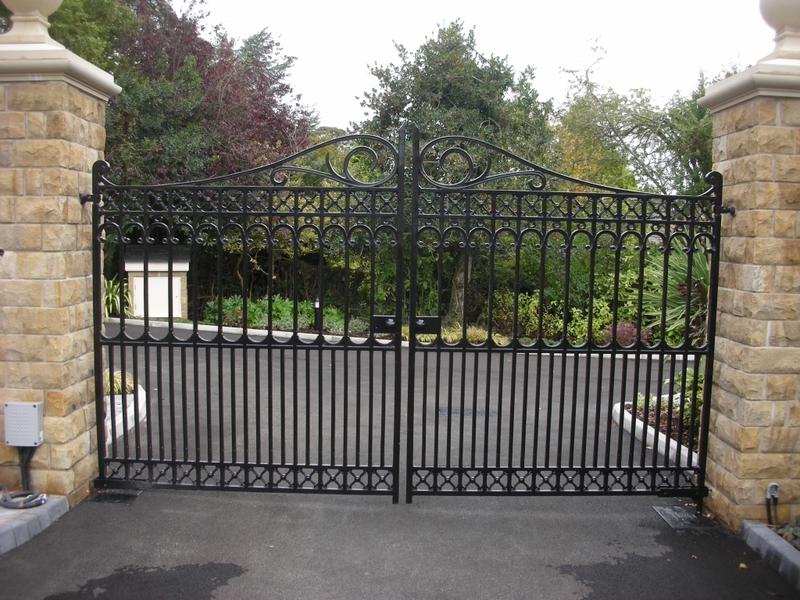 Our Richmond Collection of drive gates are pre-primed and undercoated for their final coat after installation.CAD drawings are available on request.